We are looking to recruit an experienced Office Manager for the Dar es Salaam Office of our client KfW which is one of the leading development banks with headquarter in FranKfurt, Germany in Tanzania , KfW, is financing development projects of the Government of Tanzania in different sectors on behalf of the German Government. KfW Office Dar es Salaam seeks to employ a professional, friendly and service oriented Office Manager with extensive experience, in. office administration, accounting and management. He/she will report directly to the Director and will' be in charge of the overall administration and accounting of the KfW Office. • Well-organized and structured personality, able to identify priority issues, to effectively communicate them to superiors, to discuss solutions, and to follow through agreed action. 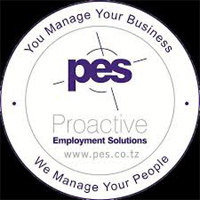 If you have essential requirements and would like to apply, please send us your cover letter & resume to: info@pes.co.tz or recruitment@pes.co.tz.